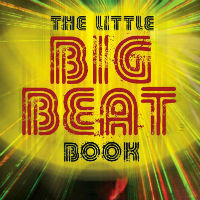 No, it’s not a single, an EP, or even a concept-LP – The Little Big Beat Book really is a book Rory Hoy’s done and not that little either at 287 pages. 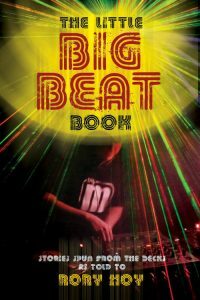 A labour of love, it comes with the tagline, ‘Stories spun from the decks – as told to Rory Hoy,’ and documents the history of his favourite musical genre – the hedonistic, pre-wobble, breakbeat sound of dancefloors from roughly 1995 to the early 2000s, known to posterity as big beat. Said tome is packed with photos, club flyers and posters from back in the day and also chock full of recent interviews from a seemingly endless list of those with knowledge of the scene. 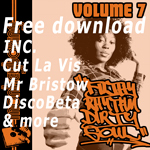 These include producers, singers and musicians (among them Norman ‘Fatboy Slim’ Cook, The Prodigy’s Liam Howlett and Keith Flint, Damian ‘Midfield General’ Harris (founder of Skint Records), Jon Carter, Propellerheads, The Wiseguys, Freestylers, Derek Dahlarge, Bentley Rhythm Ace, Cut La Roc, Dub Pistols, John Mekon, Justin ‘Lionrock’ Robertson, Beats International’s Lindy Layton, Howie B, Freddy Fresh, Fuzz Townsend, Apollo 440, Mr. Scruff, Jadell, Nick Faber and Max Sedgley), club and label kingpins (Heavenly Social club founder and promoter Robin Turner, Big Beat Boutique founder and promoter Gareth Hansome, Chemical Brothers manager Robert Linney, Wall Of Sound label founder Mark Jones and Stephen Hall who ran Junior Boys Own Records) and if you look closely and you might even seen a contribution from the monkey. Cover art below in all its full glory.